Global Finance (GF): What are the specificities and the strengths of the Omani banking sector? 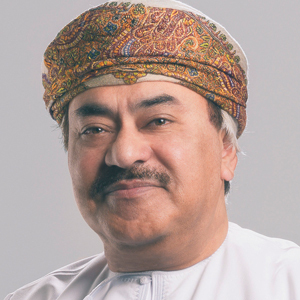 Abdul Razak Ali Issa: The banking and financial sector in Oman serves as a pillar of the national economy. Sound macroeconomic policies, a stable financial system and fine-tuned monetary policy measures support the financial sector, which has witnessed strides in technology, innovation and performance. The banking sector continues to record strong growth, owing to the government’s focus on economic diversification and infrastructure development across the Sultanate. The stability and sustainability of the Omani banking sector are characterized by adequate asset quality with relatively low impaired assets and sound capitalization. With sustained economic activity, local banks are playing an important role, with deep knowledge and expertise to handle financing of projects in the country. Banks have gained expertise in arranging structured financing for corporates, and projects ranging from debt and equity, bonds and Sukuk issuance and syndicated loans. Total credit extended by conventional and Islamic banks stood at 23.6 billion Omani Rial ($61.3 billion) in 2017, recording a growth of 6.4% over the level in 2016. GF: What types of products or services have strong potential for growth in the Omani banking sector? Issa: Financial inclusion is critical for competitiveness through access to services such as credit, deposits, digital services and insurance. Electronic payment and web-based services will be the key to making a difference in attracting a young, tech-savvy generation. A focus on small and medium enterprises (SMEs) is important, as SMEs form the foundation of the industrial, trade and service sectors in Oman. Islamic banking products and services are also making major inroads, representing over 11% market share of banking assets in Oman. In light of Oman’s focus to diversify the economy and improve its investment climate, demand will continue for debt instruments, including bonds and sukuk, for government and corporate entities. 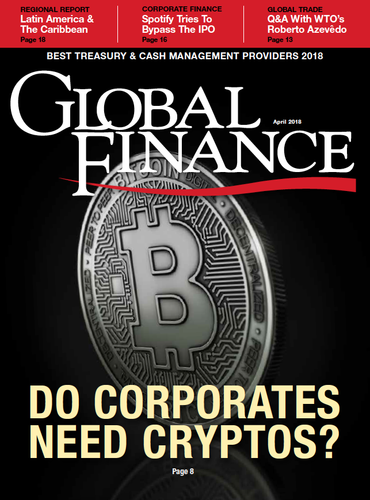 GF: What is your stance on fintech? Who are the potential users of fintech and how could it change banking in the region? Issa: Bank Muscat is a leader in using technology to make financial services more efficient. Financial technology is changing the future of banking, and Bank Muscat has seamlessly progressed from traditional to innovative digital banking in order to enhance customer experience and reengineer business operations. The technology focus of Bank Muscat is reflected in the largest network of interconnected branches, payment gateways, cards, merchant services, alternate channels of ATMs, cash-deposit machines, online and mobile banking as well as connectivity with utility service providers. Bank Muscat remains focused on helping customers make a smooth transition toward efficient, tech-focused processes and ride the waves of technology to their advantage. Aimed at addressing customer requirements within the fastest possible response time, the bank utilizes social media to engage customers and gain feedback through surveys, questionnaires and awareness campaigns on the Bank’s products, services and activities. GF: Today, what are your prospects for regional growth and expansion? Issa: The international operations of Bank Muscat provide regional coverage to customers through the network of branches in Saudi Arabia and Kuwait, representative offices in the United Arab Emirates, Singapore, Iran and associates [and] subsidiaries [elsewhere]. The focus is on improving the performance of existing entities while simultaneously evaluating growth opportunities in key regional markets.